altns 1969; res & enl 1993 George Stephens. 2 manuals, 12 speaking stops, 4 couplers, tracker. Gt: 8.8.8.4.II. Sw: 8.8.4.2-2/3.2. Ped: 16.16. 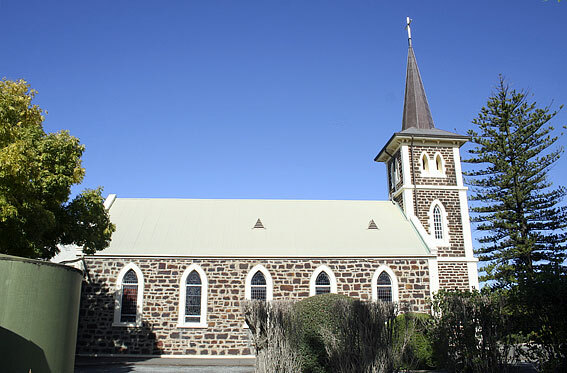 St John's was formed by a breakaway group of 54 members of the nearby Langmeil Church in 1860. 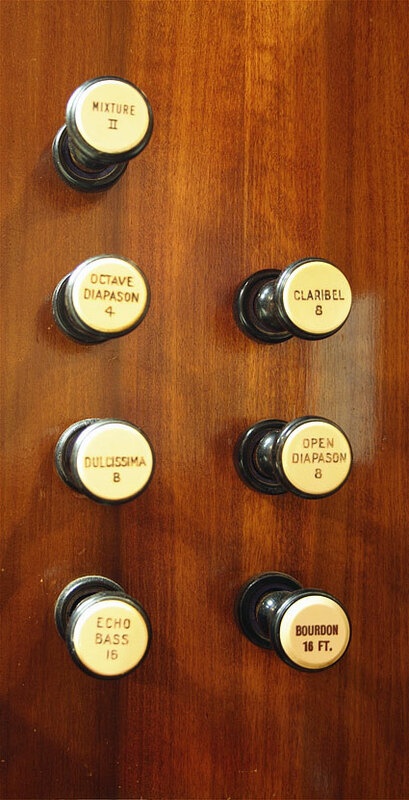 The organ was the first of a number to be supplied in the district by J.E. Dodd. It features the Dulcissima stop - unique in Australia - and used on only a handful of instruments made by this builder. No other such stops appear on the organs in the Barossa Valley. 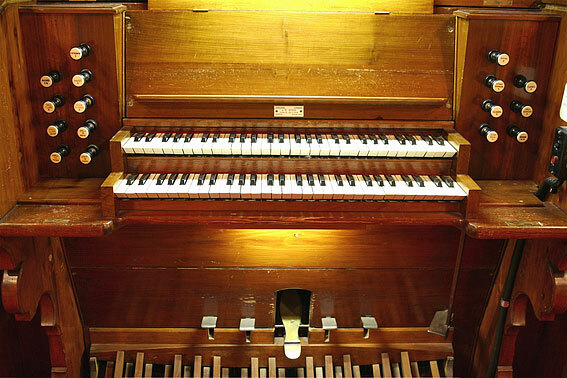 Following the fashion of the 1960s, this organ too has been altered, the Cornopean being removed and mixtures and mutations added. 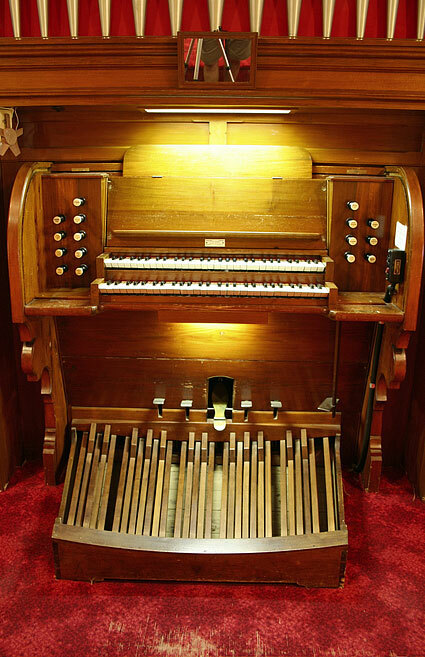 The organ was altered in 1969 when the Cornopean was removed and was enlarged in 1982 when a Swell Mixture was added. 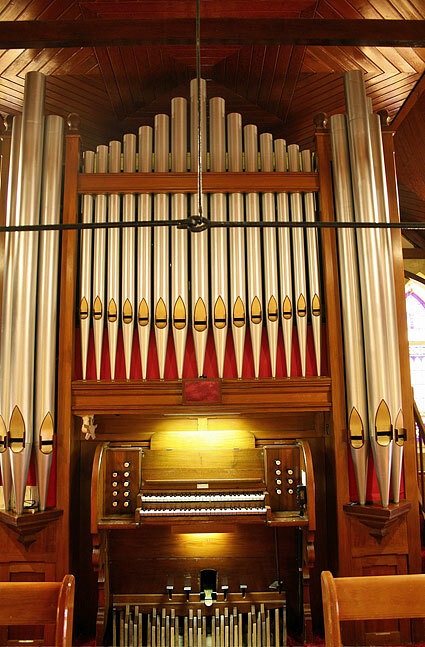 The organ was repaired and enlarged in 1993 by George Stephens when he place the Swell Mixture on the Great, replacing the Swell Mixture with a Nazard on the Swell. The creation of St Johns arose from a disagreement. 54 members of Kavel’s Langmeil congregation signed a document indicating preference for G.W. Staudenmayer of Light Pass as their pastor. 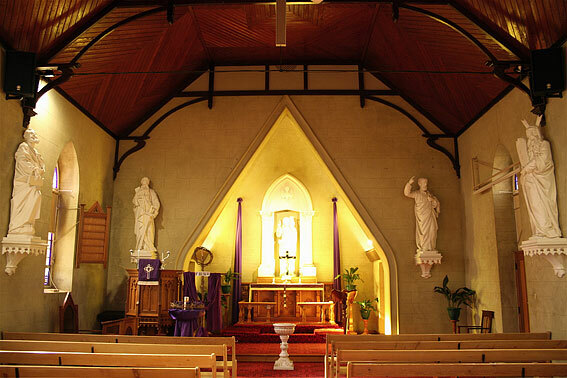 Services began to be held in private homes. Alternatives were sought including the purchase of a wheat store and the possibility of building on the current cemetery site (also known as Hallet’s Valley). 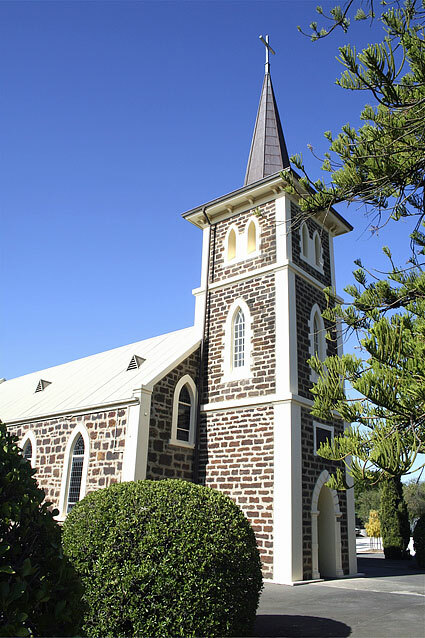 The church was built in 1868 without a tower but with a single bell. Initially a simple structure, in 1887 a slate floor was laid and the tower, built by Messrs D. Both and W. Trotte, was added. 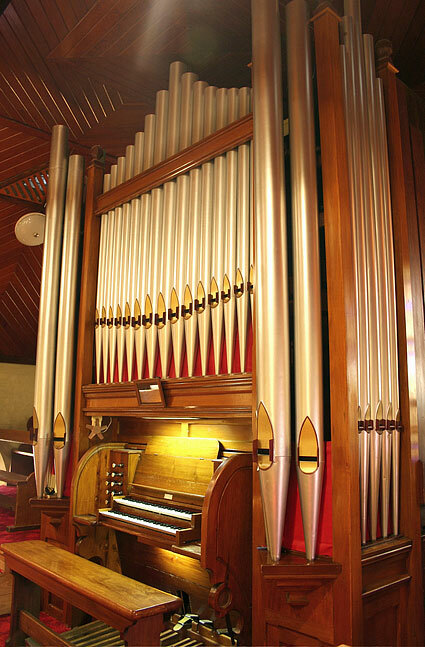 It seems clear that St John’s had obtained a pipe organ prior to 1910. It obviously gave trouble and was replaced by a reed organ. It is mentioned in the Centenary booklet of 1960 and is also spoken of in letters from J.E. Dodd to Berthold Reush, the organist of the church, in 1910. 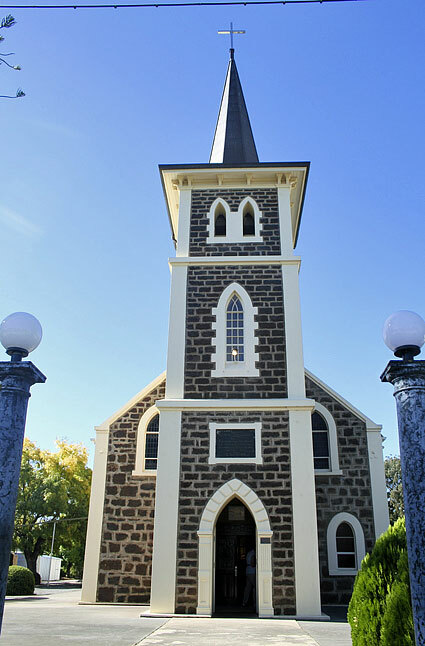 Dodd obviously visited the church in 1910. In a long letter to Reusch in November, he advocated an instrument “of no smaller size than my scheme number five”. From “chatting with many members of [the] congregation” he deduced they needed this size of organ, suggesting “If you are not prepared to do this, I would urge that the matter stand in abeyance until you are prepared and in a position to do it.” This proved to be the course of action they took for the organ was not ordered at his time, the congregation persevering with the reed organ for a further 10 years. 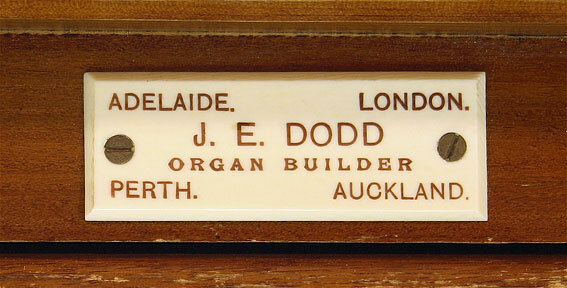 This organ was the first of a number to be supplied to the Barossa by Josiah Eustace Dodd. It has undergone a few minor tonal alterations. In 1969 the “cornucopean” (sic) stop was removed with a Fifteenth 2ft rank substituted. 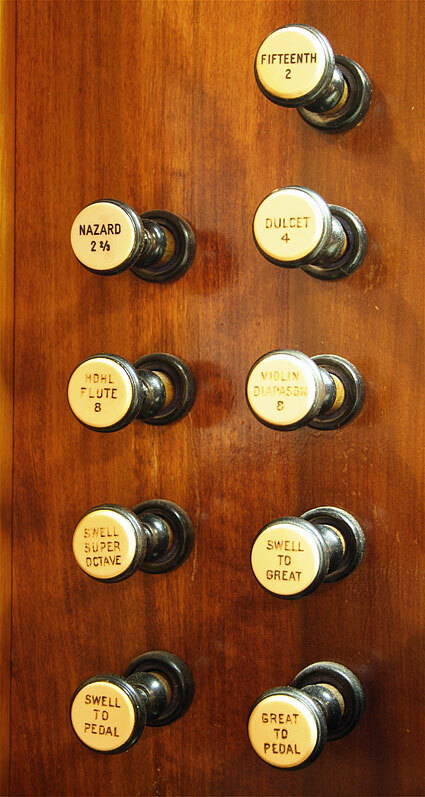 In 1982 the Mixture was added to the swell.9 George Stephens restored the organ in 1993, moving the Mixture to the Great and adding a Nazard to the Swell. 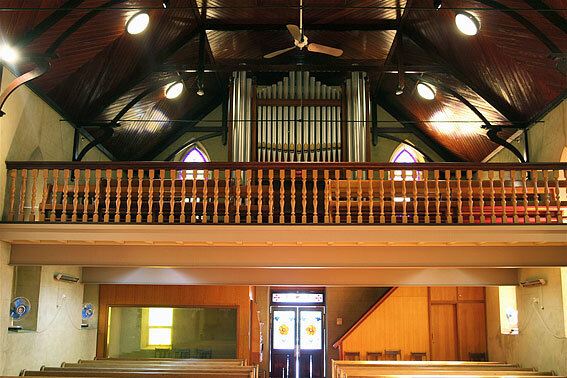 The organ features the Dulcissima stop which is unique in Australia being used on only a handful of instruments made by this builder, no others being in the Barossa Valley. 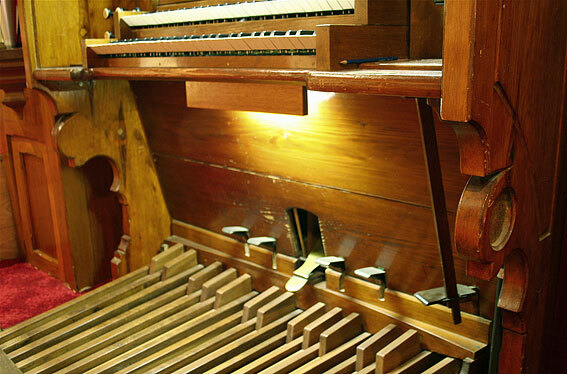 Owing to a lack of height in the gallery, the largest pipes in the façade are grouped in two outer three-pipe towers, on either side of the attached drawknob console.